It all started back in the Muromachi period (1337 – 1573) when the Japanese frequently used the suspended ceilings to make houses more attractive. In London, by 1596, a theatre named the Blackfriars became the first structure in the west to make use of suspended ceilings. The patent for suspended ceilings in the US was first filed for in 1919 by E.E. Hall but was not accepted till 1923. These ceilings back then were created using interlocking tiles which restrict ease of access for maintenance and repair. To accomplish this, the tiles will have to be removed from the edges until the area that requires repair/maintenance is reached. This proved to be time-consuming and budget-unfriendly since the tiles still have to be put back in place after the repair/maintenance is done. However, in 1958, Donald A. Brown made the effort of filing for the patent of an accessible suspended ceiling design which will solve the problem of difficult access to the ceilings and make the suspended ceilings easily accessible from any part for repair/maintenance. The patent, which was approved in 1961, made some people see Brown as being the founder of suspended ceilings. Suspended ceilings with easy access have been in existence since then. Suspended ceilings not only are of various styles, but they are also of various functions. Not only do the ceilings beautify architectural structures, but they also help to increase the efficiency of workers in a workplace. This is one of the most prevalent types of suspended ceilings. Strips of long metals known as mains are connected to short metals known as tees. These make up the ceilings’ grids that are packed up with the ceiling tiles. Usually, the grids are exposed with the metal frames having a height of 15 or 16 inches. For the width, however, any length can be used depending on the structure. Bandraster is another type of suspended ceiling popularly used in London. With this ceiling, multiple purposes can be met. The metals with short lengths (tees) are used with varying lengths of the metals with long lengths (mains). 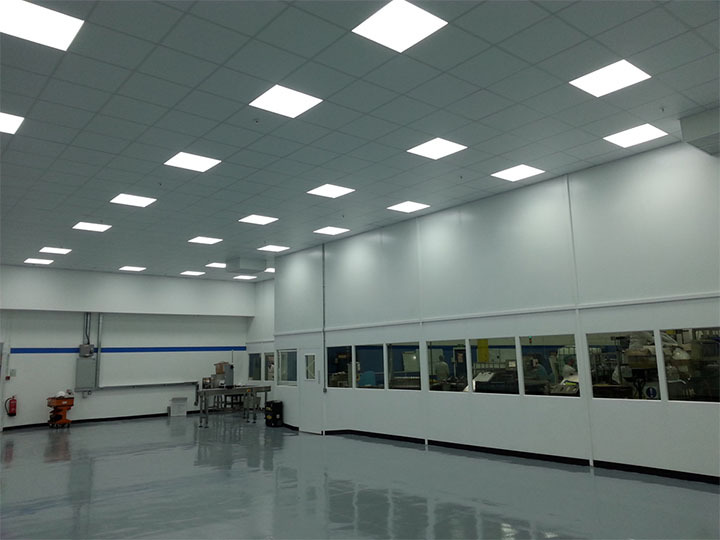 This type of suspended ceiling is commonly used among among companies like Only Suspended Ceilings in London because they have the ability to form various patterns with the ceiling. Since the patterns formed will have different sizes, specially made tiles are used. This ceiling gives places making use of it a unique and attractive feeling. In a suspended drywall ceiling, instead of using metal grids in the process of dropping the ceiling, hangers and wires are used. Drywall sheets are suspended from the ceiling using the hangers and wires. Virtually, little or no framing is needed at all. Flat sheets and drywall panels can be added to further enhance the ceiling’s attractiveness. When compared with the exposed grid ceilings, it’s more expensive. It makes use of acoustic tiles which have grooves by the perimeter to cover the grid system. The tiles are able to slide over the grid system, and the mains and tees are therefore not exposed. The tiles look fluid and attracting to the eyes. The con, however, is that accessing the ceiling gets more difficult in contrast to the exposed grid system. Easy access to merchandise and an increase in the display area make mezzanines a valuable asset to any retail shop. 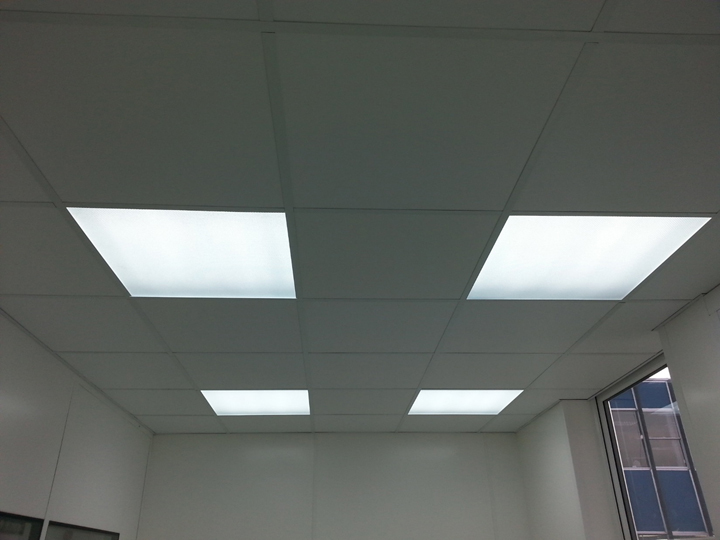 Suspended ceilings are becoming more commonly used in homes and workplaces especially in Birmingham City. Apart from the beautiful feeling the ceilings bring to a structure, what other benefits come with them? Some major benefits are discussed below. Just in case you have to remove the entire suspended ceiling due to repair or maintenance which is very unlikely, the suspended ceilings are easily removed as they are easily set-up. Removal will bring virtually no stress and won’t be time-consuming. Flaws and mistakes in the traditional ceiling will easily be concealed by making use of suspended ceilings. Stains, paint peeling off and paint fading of a structure’s traditional ceiling will easily be hidden by a suspended ceiling. It even helps to save money in the process because using suspended ceilings cost way lesser when compared to repainting or any other repairs to be done to the traditional ceiling itself. Setting up suspended ceilings have proven to be virtually easy to understand, simple to install and time-saving as opposed to what many may think. With even just a certain level of expertise, you can install it yourself. The best option to guarantee maximum safety, however, is to employ the services of professionals. Suspended Ceilings with fireproof or with fire protection installed in their cavities can prove to be lifesaving sometimes. In the unfortunate occurrence of a fire, the suspended ceiling will not burn out for at least an hour. This gives enough time for evacuation, lifesaving and putting out. The fire protection installed ensures that the fire does not spread any further than it has. Some suspended ceilings not only beautify a structure, but they are also moisture resistant. This ensures that there is no thriving environment for moulds and mildews. The ceiling may even be coated with antimicrobial treatment chemicals to prevent the growth and infestation of microbes and bacteria. 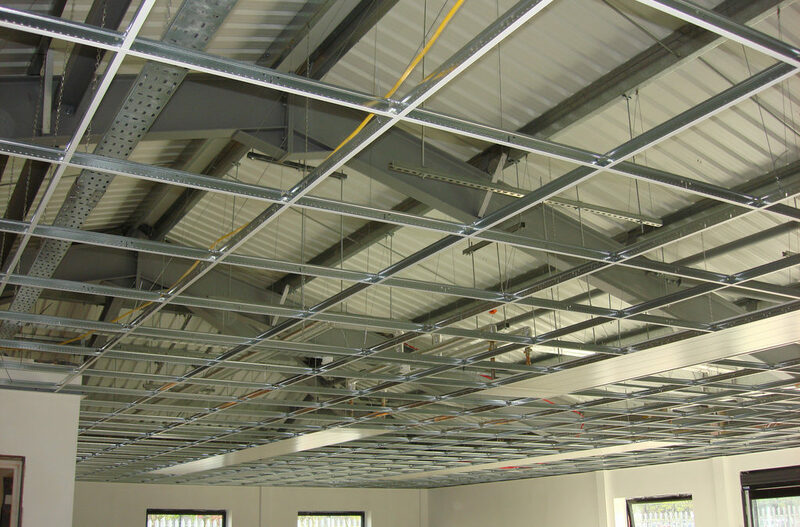 Suspended ceilings can, therefore, be utilised in any part of a building, even in humid areas. Unlike the traditional ceilings which allow for no change or customization at all, suspended ceilings can be styled to look however the owner wants it to look. Just switching the ceiling tiles will do this job. The suspended ceiling may be made to blend with the walls and floors in both colour and texture. This option of easy customization brings about a feeling of modernization and class to any structure. You don’t like the current style? It’s easy. Switch out the tiles and try another style. These guidelines must be strictly adhered to for everybody participating in the project. If there are more than 1 main designer and 1 main contractor undertaking the project, it should be put in writing by the customer. Electrical equipment must be properly connected. To ensure safety, 110-volts power supply is recommended. All hazardous objects must be correctly named. Delicate equipment should be operated using gloves and glasses. Low toxicity and low smoke insulation wires should be used with low voltage cables and wires that are not connected to the duct. This is to prevent sucking in poison through the ventilation and spreading of fire into the space for wirings, if any. High voltage equipment should not be used in the plenum space. High voltage wires should be passed through conduits and must be in metallic containers when being put to use in the plenum space. To prevent hazards from wiring, electrical outlets are not allowed in the plenum space but may, however, be exposed at the base of the ceiling. In suspended ceilings, lights and fans must be well connected. This is to prevent loosely connected fixtures falling, especially on firemen when removing the ceiling to access the cause during a fire outbreak. Wirings must be made diagonal in places prone to earthquakes. This is to prevent the suspended ceiling falling off during an earthquake. During installation of the ceiling, compression posts that will restrict bouncing off the ceiling during earthquakes must be made. To prevent all the above-mentioned hazards and enjoy the ceiling to the fullest, it is imperative that a professional is contacted to help with setting up and fitting the ceiling. The professionals are experienced and have a great understanding of the workings of the ceilings. In addition, the professionals will take you through a step by step method employed in installing in installing the ceiling in a relatively seamless and time-saving process. This guide is only meant to make you an informed customer.